I have some exciting news to share today: Mavifil Yayınları, a Turkish publisher, has asked to translate into Turkish my first children’s books–Runaway Smile and Musiville. We just finished signing the contract, so I can officially share the good news. Not many people know this but it has been a long-time ambition of mine to break into the Turkish market. My wife was born in Istanbul and her whole family lived there until the late 70s. So, I have a strong connection with the country, even though I’ve never visited. And with some 20 million children, Turkey is the perfect market for a children’s author. 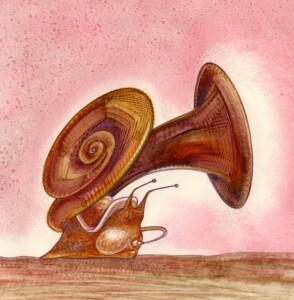 Our schedule is to release Runaway Smile in two month’s time, then, after another two months, Musiville. My experience so far with Mavifil has been positive. However, I just discovered this post by Writer Beware (thank you, John), so I’m curious to see what they’ll do with my paycheck. If it arrives just fine, all’s well and I’ll let you know. If not, well, then I’ll post it here so that others may dodge a bullet! I wanted to celebrate this development by offering my children’s books for free or for 99c, but I’ve run promos on both of them these past months. 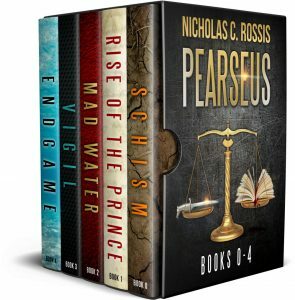 So, I will give my entire Pearseus bundle (5 books) for 99c for a few days. If you haven’t yet read this unique science fantasy series, voted as one of the 100 Indie books you should read before you die, click here or on the image… and happy reading! Me too. Looking forward to updates. Wonderful news… more good things to come, I am sure! Smiling… thank you for the nice vote of confidence. When I have time, I promise to read your book. Is it in English? Did you say you had a FREE copy we could still download? That’s great news. Happy for you. Congratulations! Congratulations. That’s a great achievement.